As Theresa “Tesa” Casal de Vela and her daughter joined a rally organized for Manila’s gay pride two years ago, they heard Christian fundamentalists shout at marchers that they were going to burn in hell and needed to repent. It wasn’t the last time Casal de Vela witnessed rejection from religious fundamentalist groups toward Lesbian Gay Transexual and Bisexual (LGBT) individuals. The former director of Isis International Manila — an organization that promotes women’s human rights by facilitating networking as well as information sharing between women’s movements — attended the International Lesbian and Gay Alliance (ILGA) conference in Surabaya earlier this year, which was cut short by radical groups’ disruptive behavior. She joined ILGA in 2005 as part of Isis, one of the feminist organizations that became a member of ILGA. Her aim since 2005 has been to foster what she calls “intermovement” or collaboration between the feminist and LGBT movements. She was about to promote her message at the failed ILGA conference in March, themed “Moving Forward”. “But, in fact we weren’t allowed to move at all,” she said. She was recently in Indonesia for an International Policy Dialogue on gender and sexuality in Yogyakarta, which ran from Aug. 9 to 11. Casal de Vela talked to The Jakarta Post about LGBT rights in the Philippines, discovering her sexuality, and the need for several levels of activism for sexual rights. 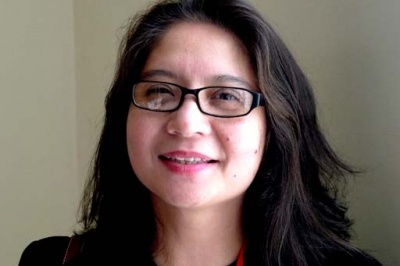 According to the 41-year-old senior lecturer at the International, Humanitarian, and Development Studies of Miriam College in the Philippines, one could argue her home country has a strong LGBT movement, with LGBTs in academia and prominent jobs in public office. She recalled her journey in discovering her sexuality as “strange”. A heterosexual until college, Casal de Vela explored her sexuality after she became involved in feminist movements. After college, she was in a relationship with a woman and told her parents she was a lesbian. They were shocked by the news — but only for a couple of hours. She eventually married the man and gave birth to her daughter. The marriage then dissolved. Casal de Vela said that she had been with her current female partner for seven years. In the research she is currently carrying out on sexuality, preliminary findings show discrimination against Lesbian, Bisexual and Transgender (LBT) women differs depending on the group or particular identity. A bisexual woman who looks “straight” or heterosexual, will experience less discrimination in the workplace compared to “butch” or “masculine-looking” lesbians and transgender women, she added. “For instance, my partner and I are both feminine [looking] and teachers in a school. And we’re OK. I think it’s because we’re ‘feminine-looking’ lesbians, so people can also accept that easily,” she said. “Two feminine women with a baby, [will stimulate this kind of thought:]‘ Isn’t that nice; that’s so sweet; that’s so cute’. But people have a problem when they see the butch [looking woman] and a femme. “It’s worse for transgender individuals,” She explained, especially for those entering the workforce. When advocating the rights of women and LGBTs, she said there should be several levels of activism, campaigning for matters which may be seen as trivial, such as the use of female public toilets for all women, including “butch-looking” lesbians and transsexuals, to promoting the involvement of LGBT individuals in political organizations.